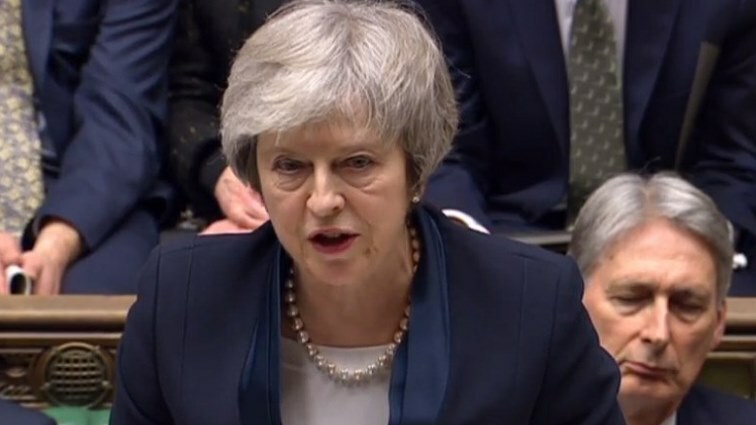 May seeks Brexit delay after third vote is derailed - SABC News - Breaking news, special reports, world, business, sport coverage of all South African current events. Africa's news leader. May had earlier warned parliament that if it did not ratify her deal, she would ask to delay Brexit beyond June 30. Prime Minister Theresa May will ask the European Union to delay Brexit by at least three months after her plan to hold a third vote on her fraught divorce deal was thrown into disarray by a surprise intervention from the Speaker of Parliament. An official in the office of President Emmanuel Macron went further, saying France was ready to veto any British request fora Brexit delay that delays matters without offering a way out of the present deadlock, or imperils European Union institutions. Tusk and Irish Prime Minister Leo Varadkar agreed after talks that they must now “see what proposals emerge from London “before the EU summit on Thursday and Friday. However, most senior EU figures, while exasperated by Britain’s dithering, have no appetite for pushing it out in 10days’ time without a deal. The 2016 referendum, which produced a 52-48 % vote to leave, exposed deep divisions in British society and has fuelled soul-searching about everything from secession and immigration to capitalism and British identity. But even before Bercow’s intervention, May was having difficulty boosting support for her deal – which would aim to secure close trade and security ties with the EU while leaving its formal structures – after it was defeated by 230 votes on January 15, and by 149 votes on March 12. This entry was posted on 20 Mar 2019,05:38AM at 5:38 AM and is filed under World, Homepage Latest Stories Slider. You can follow any responses to this entry through the RSS 2.0 feed. Both comments and pings are currently closed.